In 1968, a research project was undertaken to attempt to discover once and for all whether or not there are any secret chambers in the pyramids of Egypt. Dr. Luis Alvarez, who developed and directed the project, had specifically designed an instrument which would record cosmic rays passing through the pyramid’s masonry. He had gained the idea for this instrument from reading The Great Pyramid in Fact and Theory, in which its author, William Kingsland, suggests transmitting radio waves 5 meters long, and recording the strength of the transmitted wave from the King’s Chamber to the outer surface of Cheops’ pyramid. This method, postulates Kingsland, would reveal whether any hidden chamber existed. Alvarez then further hypothesized that cosmic rays bombarding our planet twenty-four hours a day from outer space, lose energy in proportion to the density and thickness of the objects through which they pass, and built his instrument accordingly. Instead of following Kingsland’s suggestion and attempting to discover a secret chamber in Cheops’ pyramid, Alvarez chose instead the pyramid of Chephren, because he thought it more likely that this structure would contain a hidden passage, and because it was thought to have been built later than Cheops’ pyramid and consequently might have a more sophisticated interior architectural design. Having designed this device, Alvarez then put together a team of scientists from a total of twelve agencies from the United Arab Republic and the United States (one of which was the U.S. Atomic Energy Commission). With the combined weight of these respectable agencies in back of them, the researchers naturally had the necessary financial and technical support vital to the execution of this ambitious project a project which, they hoped, would ultimately realize the Egyptologists’ dream: the finding of the sarcophagus of the Pharaoh. In September of 1968, the team recorded millions of cosmic ray trajectories on special magnetic tape designed to be evaluated by computers. The tapes were first analyzed by a computer in Cairo. The results clearly indicated the location of the faces, edges and comers of the Pyramid, but no hidden chamber was located in the 35-degree conical scan of the rays which were recorded in the central chamber. Additional, more precise computer analyses of the tape and its millions of pieces of information followed. According to Dr. Amr Goneid, the head of the Cairo group, each time the tape was reanalyzed by an IBM 1130 computer at the Ain Shams University in Cairo, a different pattern would emerge, with prominent features which should have appeared every time now missing. A duplicate copy of the computer tapes was taken to the United States by Dr. Alvarez’ assistant, Dr. Laurin Yazolino. These were analyzed by a highly sophisticated computer at Berkeley, California, which, according to Alvarez, consistently reported the same results through analysis after analysis. 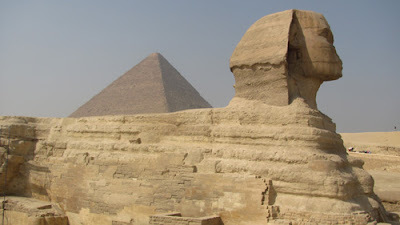 Dr. Goneid agrees that the differing results obtained from the Cairo computer analyses appear to be scientifically impossible and states that there is either a substantial error in the geometry of the Pyramid which affects the recordings, or that some mysterious force, which defies the laws of science, is at work in the Pyramid. The idea that there is some inexplicable or unknown energy which is peculiar to the pyramid shape is not a new one. In fact, the basic contention of the Papyrus of Ani (see chapter 7) is that the god who is sleeping in the soul of each person is awakened by the power, or energy, of the pyramid. While twentieth century mystics do not necessarily believe that the pyramid shape can actually arouse dormant gods, there are many who do feel that psychic powers are stimulated or heightened by the use of a homemade pyramid as a meditation area. Apparently, psychics who use pyramids in this fashion have achieved an altered state of consciousness more rapidly than they would have otherwise. They claim that the powers of the pyramid work best when they situate themselves in either a prone or sitting position along the north-south axis beneath the apex of the pyramid. The experiences of psychics who have used the pyramid seem to vary considerably. Some report that they receive answers and/or visions in response to a particular set of questions or problems while they are still inside the pyramid. Others claim that they feel only serenity and integration with cosmic forces during their pyramid sessions; that it is only after they have emerged from the pyramid that spiritual impressions and psychic perceptions virtually flood forth from their consciousnesses. Many psychics believe that strong energy forces exist within the pyramid which, during meditation sessions, clear psychic passages which may have become blocked.